Did you know office based tumescent liposuction is the safest form of liposuction? By not being heavily sedated as in a hospital or Surgicenter setting, the Dr is able to more accurately position you and properly guide the suction cannulas for enhanced safety and better results. In fact, he may have you stand up during the case to assess the effects of gravity during the liposculpture procedure. 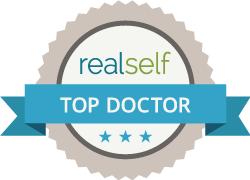 Dr Khan considers liposuction to be a fine art and strives for the absolute best results for his patients.